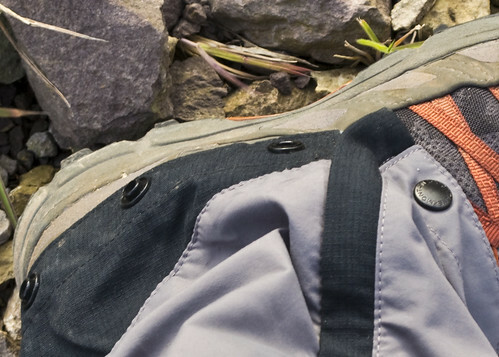 I'll start with a disclaimer; that these Montane Terra Mountain Pants were sent to me by GO Outdoors to review. I have no vested interest in GO Outdoors, Montane or the trousers themselves other than to share my views and opinions; good, bad or otherwise. 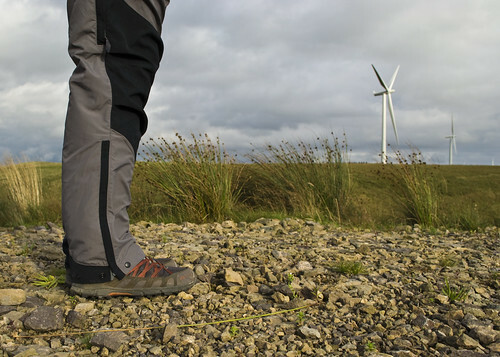 GO Outdoors have a large range of waterproof trousers and I selected the Montane Mountain Terra Pants from their range, waist size medium and regular length leg in the black and graphite colour combination. This is my first experience of Montane gear and I have to say my first impressions on removing them from the parcel were good. Light in weight and soft to touch. 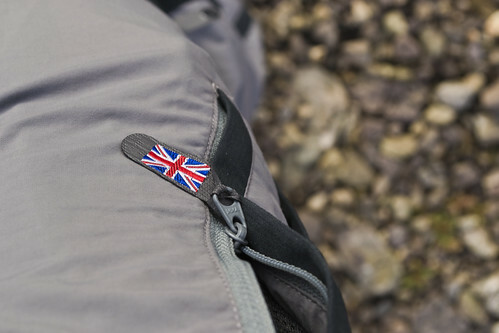 They are made from Cotton-feel Tactel and Cordura Mini-Rip, rip stop fabric for the reinforced areas. These panels are on the seat(bum), knees and inner ankles. The classic high friction points. The fabrics also rated 40+ ultraviolet protection factor. They also claimed to be less than 320g for the size medium. I stuck them on my scales and they weighed in at 337 grams but I hadn’t cut off all the paper tags. Once snipping them off the trousers came in at 329g including the belt. After removing the belt they were well under, at 302 grams. When I tried them on I was very surprised by the fit. I'm not the tallest, 5’ 7” on a good day and usually find that especially with trousers I have to get the short leg option. However these were not to long for me, as in touching the floor but not to the usual degree of standing on them with my toes poking out the end. They would be nearly a perfect length with my trail shoes on. This may be something to bear in mind if you are a 'regular' leg guy, these might well be short. The waist is elasticated with a button and a zip fly which makes for a nice snug custom fit for a range of sizes within that medium band. There is also a fairly standard webbing belt. The trouser legs have mesh thigh vents which are opened or closed with a zip to help aid cooling should you find yourself too warm. The ankles also have zips and press studs that allow you to adjust the volume to suit and vent the bottom of your legs if need be. You can even remove the trousers completely while leaving your boots on, if you felt the need! 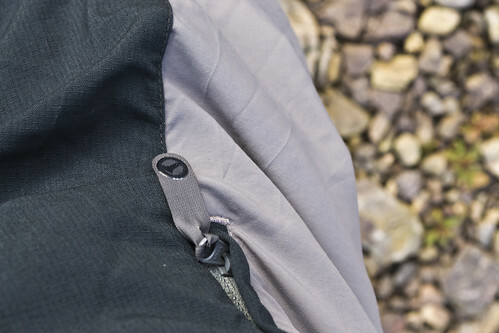 There is a distinct lack of pockets as the trousers only have two front mesh lined pockets, one with a zipped security pocket for your keys or such like. No back pockets or cargo pockets. Having said that, the two front pockets are ample in size and hold all the usually junk you keep in your jeans pockets with ease. The zip pulls on the pockets have a nice rubberised/silicon spot on them which grabs your skin, stopping the material tab slipping from between your fingers. Having given them a thorough indoor testing; rolling about the floor playing with my 20 month old daughter, lounging on the couch, drinking beer and watching the football. After passing those hard tests with ease I felt it was time to take them outdoors and give them a proper test. Surprisingly though for the west of Scotland there hasn’t been much rain. Typical! Maybe it was just my luck in picking good days. Undeterred I got myself out on a couple of occasions and into the wild. Out and about in the wild on various walks including rolling about grass and stones trying to set up some self portraits in the hills I found the trousers to be very comfortable; no rubbing, chaffing or pulling. I can’t say much for the waterproofness of the fabrics as I was only ever in light showers. However the water did bead on the surface but I couldn’t say how long or how much water before that would stop and they wet out. What I can vouch for is there windproofness, even in strong winds I never felt drafty or any chill when I stopped walking. I know they claim to be a 4 season active trouser but until the weather really turns cold I couldn’t verfiy this. I would guess though that you would have to wear a thermal base layer under them for the true cold weather. All in all I found these trousers to be excellent and I look forward to wearing them out with confidence on future walks.